"My name is Santhosh. I like playing volleyball and cricket. My favorite school subject is English, and when I grow up I would like to be a member of the police force. I am so thankful for New Hope Children's Home. The other children here are just like my brothers and sisters, and the caretakers look after us very well. I know that Jesus came from Heaven and died for me on the cross, and I praise Him for that. Please sponsor me." 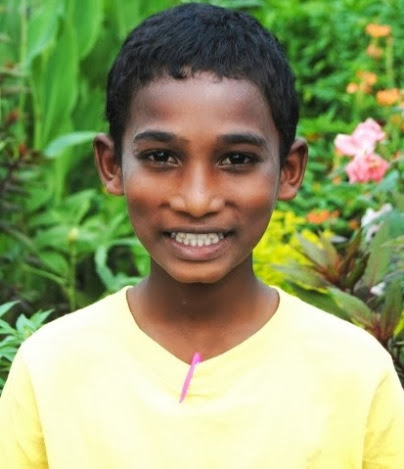 CLICK HERE TO SPONSOR SANTHOSH!